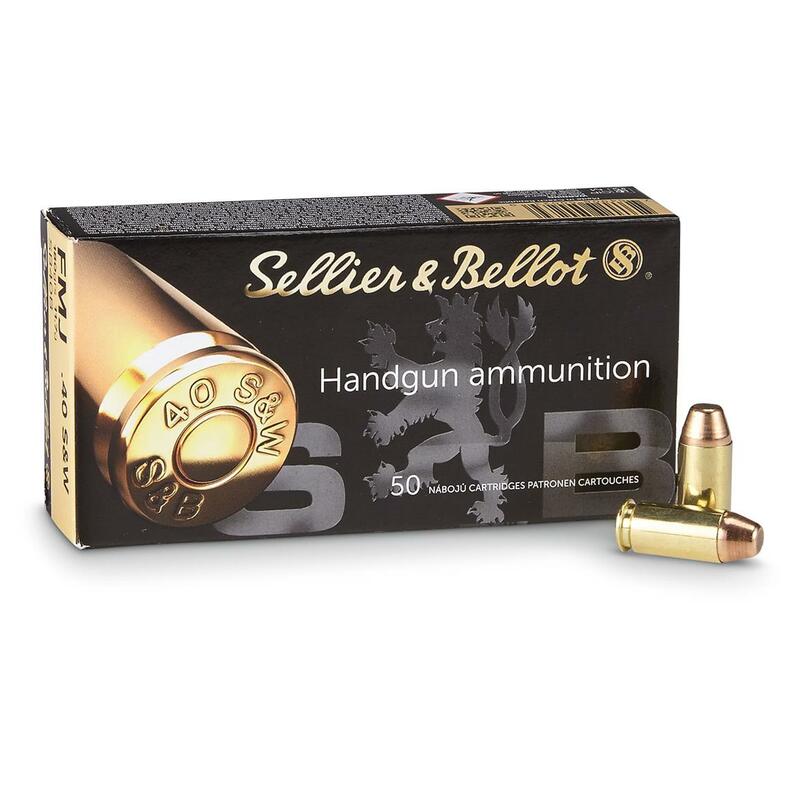 Stock up for extended range time with dependable, affordable Sellier & Bellot® ammo. Sellier Bellot, .40 S W, FMJ, 180 Grain, 500 Rounds is rated 4.7 out of 5 by 63. Rated 5 out of 5 by Tribi from Great Rounds Been using these rounds now for several years, great usage. Rated 5 out of 5 by Chuck from Good value They delivered item quickly and exactly as promised. Rated 5 out of 5 by Hayden from The Go-to! 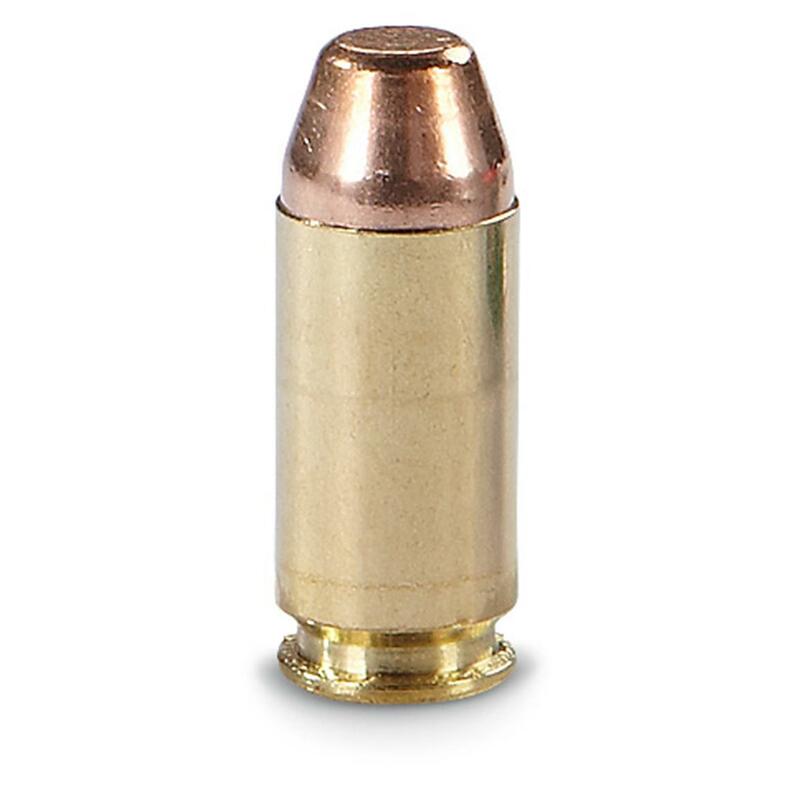 Look, it's cheap and it gets the job done, full grain, never had a misfire, non-corrosive, etc. Just get it. Rated 3 out of 5 by Anonymous from FTF into sig p320 full size I like S&B but these particular 40S&W would not reliably feed into my Sig P320 Full Size. Worked ok with the Comoact P320. Other Ammo (Fiocchi) works well on all my P320 configs. Rated 5 out of 5 by kenno25 from Great Ammo !!!!!!!! I use different brands of ammo and different grains in almost all of my weapons , it depends on what I'm doing, I'm sure alot of you can relate, so when I say this ammo does it job and does it very well. you can believe it does. No need for details, nuff said !! Rated 5 out of 5 by Brad from Perfect ammo for the range. Great price for good range ammo. No failures to feed or eject. Plenty of power and very accurate. I’ve shot their 40, 45 and 10mm and all are excellent.